Gay Romance: Want Purrrfect Books for Christmas? SWAG? It's that time of year again: Christmas! 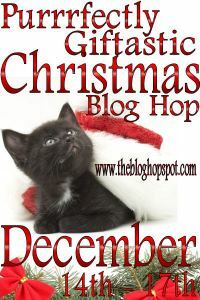 I'm taking part in the Purrrfectly Giftastic Christmas Blog Hop. Don't forget to check our all the other 140+ authors, a lot of them fellow m/m authors (they're marked as such). I'm sure you have a lot of jumping to do, so I'm keeping this short. In order to win one of prizes, just leave a comment along with your email address. If you're interested, you can follow me via Twitter, Facebook, GFC (follow button to the right) and my newsletter. This is not a must if you want to take part in the giveaway though. Want a free read? Half-Baked Promises is available on Goodreads in pdf, mobi and ePub. - signed character cards from Erica Pike, Karenna Colcroft, and Cherie Noel. - signed post cards from Erica Pike, AJ Kelton, Robert Moore, Kim Fielding, Silvia Violet, SA Garcia, Victor Alexander, Shira Anthony and Venona Keyes. - other little bits and unsigned SWAG. - signed character cards from Erica Pike, Ethan Stone, and Cat Grant. - signed bookmarks from Erica Pike, J.P. Barnaby, and Jeff Erno. 3. A College Fun and Gays ebook (winner's choice). 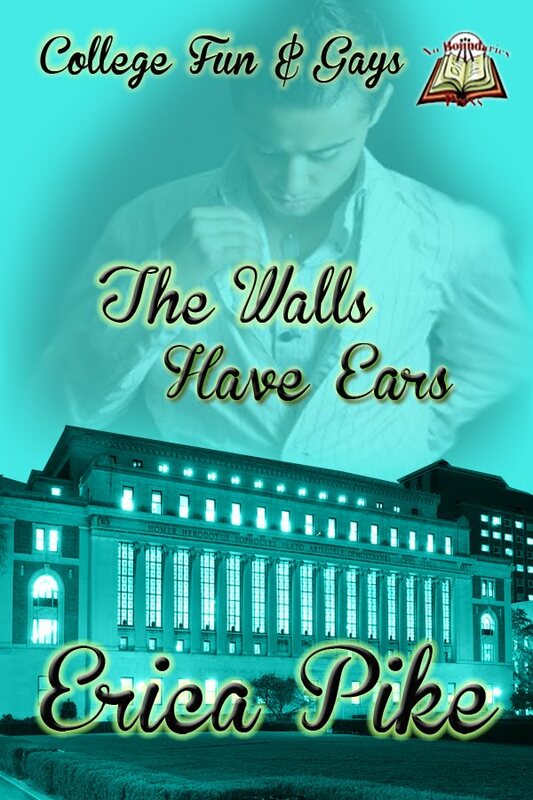 You can read about each book by clicking their pages in the bar above, or by clicking the images to the left. Here are quick summaries. Thank you for being part of the blog hop. I'd like to enter to win. Many thanks for the post - plus love the pics! This is great! Thanks for the blog hop! Count me in please.Thank you for a great hop. Hi Erica. 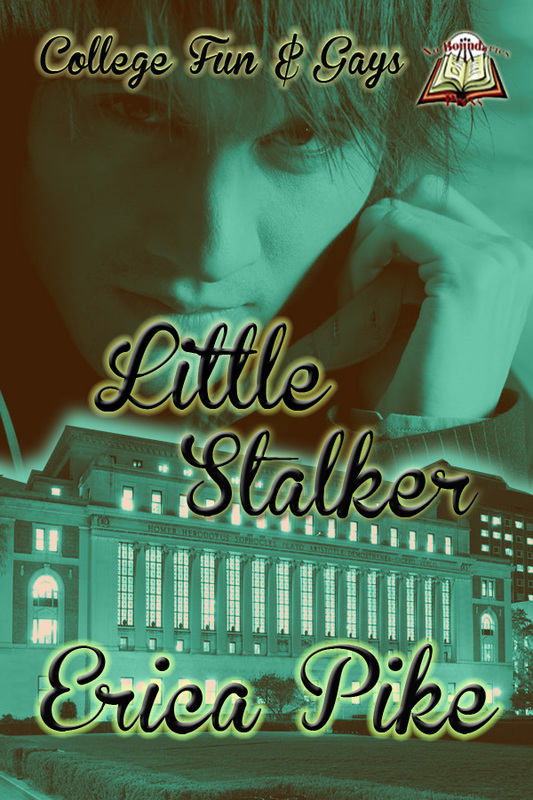 I think Little Stalker is the only book of yours that I have not read, yet. Love all this hopping, more exercise than I usually get. Glaedelig Jul! Following you via e-mail subscription. :) Your prizes look amazing! Ah, what a gorgeous array of goodies! Happy holidays! Nice to meet you Erica, just wanted to say, great stop and happy holidays! The swags sound so attractive! Yes, Please and Thank You! Wow, great swag, Erica! Thanks for being a part of the blog hop! Happy Holidays to you and yours! Great prizes! Thanks for being a part of this Hop. Merry Christmas! Thanks so much for participating in the hop! I would love to win either prizes 2 or 3. I follow on twitter! Count me in please. Happy Holidays. I love swag! Thanks for a chance to win all these goodies!